As someone who isn’t much of a morning person the idea of saving time when I’m running late and grabbing a breakfast on the go has great appeal. Consequently Quaker Oats Porridge To Go Breakfast Squares sounded like the perfect snack to try out on the train to work. There are two in the box individually wrapped. When I looked at the box it said that they could be heated in the microwave, but not having one on my journey I was pleased to see they could also be eaten straight from the pack. They smelt sweet and oaty and I took a bite. Now I found that I wasn’t keen on the texture. It was not stodgy like flapjacks can be or indeed sticky, but it was quite solid, and it felt like it was an effort to eat. I thought it was a little dry, but my issues were purely with the texture, as I really enjoyed the flavour. 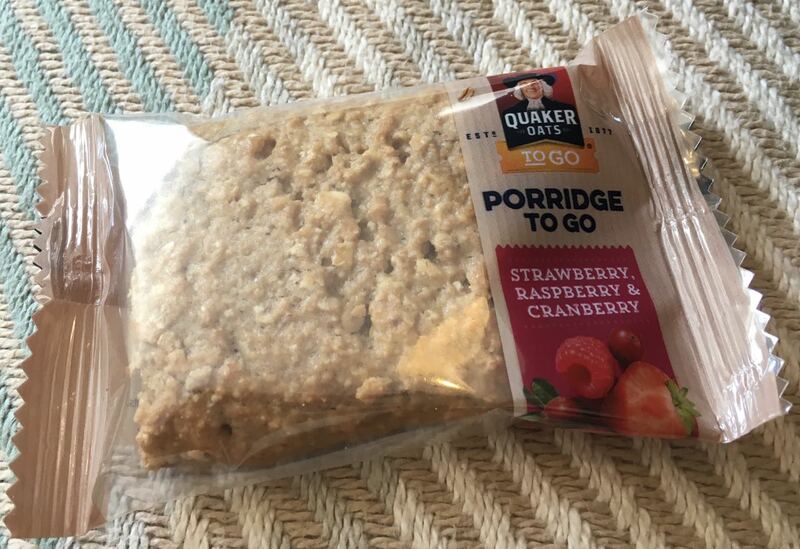 The taste was just right on the sweetness, with plenty of fruity tones, with hints of berries, and the base taste of golden oats worked well. I could imagine a bowl of porridge with a dollop of fruit jam all sort of condensed down. 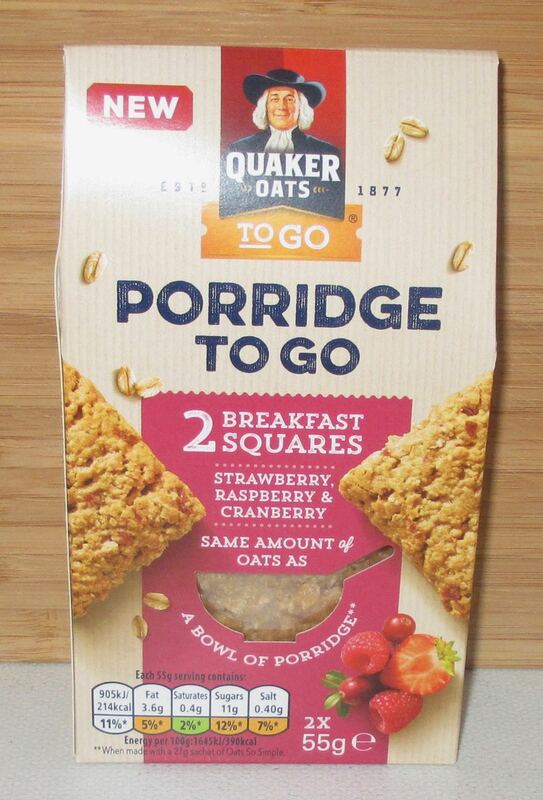 If only the texture of this Breakfast Square was a little lighter. I think I will try the second one heated up (it takes just 10 seconds in the microwave) and see if that helps the texture, otherwise I think these might not be for me.